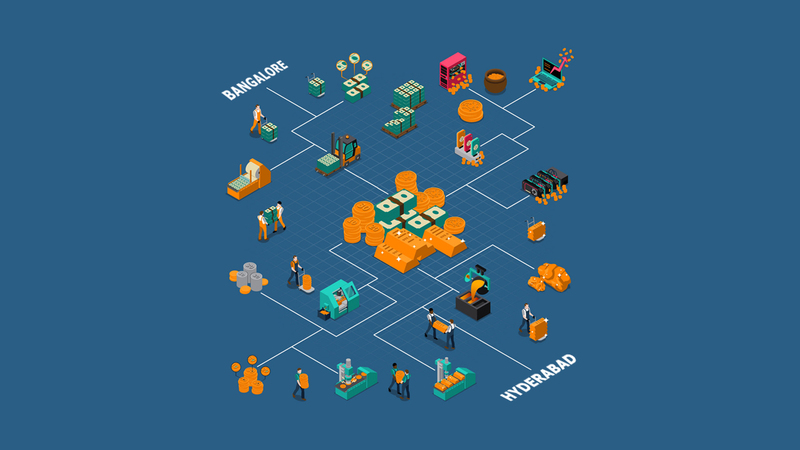 OCMO is now spreading its wings and shifting boundaries outside Bangalore and its popularity has now extended to Hyderabad. Vineet’s teams of dedicated experts strive towards creating powerful brand awareness in a competitive environment to make a lasting mark in the Crypto currency industry. The team at Outsourced CMO has taken up this challenge to integrate the digital currency platform seamlessly with all major social networks to make the process of sending and receiving money fun. INCX aims to develop a one –stop-state-of-the –art technology platform that will let users buy Crypto currencies, whilst also letting them exchange Crypto currencies. This will pave way for mass adoption of this digital asset. The proliferation of information on the internet today makes it even more challenging for new Crypto enthusiasts to find the information they need to make informed decisions. Here is where OCMO’s role comes into play where we ensure the popping up of right information at the right place. The team is working on promoting INCX’s mobile and web apps the easiest way to deal in Crypto currencies. Customer experience will be at the forefront. The app will be accessible through a simple and secure gateway to provide optimum benefits to the user. The way we spend money is changing and the way we do digital marketing will need to follow the suit and evolve with the times. The marketing professionals at Outsourced CMO guarantees this evolution. They have always been leaders in providing excellent Integrated marketing strategies and solutions by working alongside with companies as integral part of their team(s). The results have always been astounding!